This will save you some frustration waiting for those precious drops! 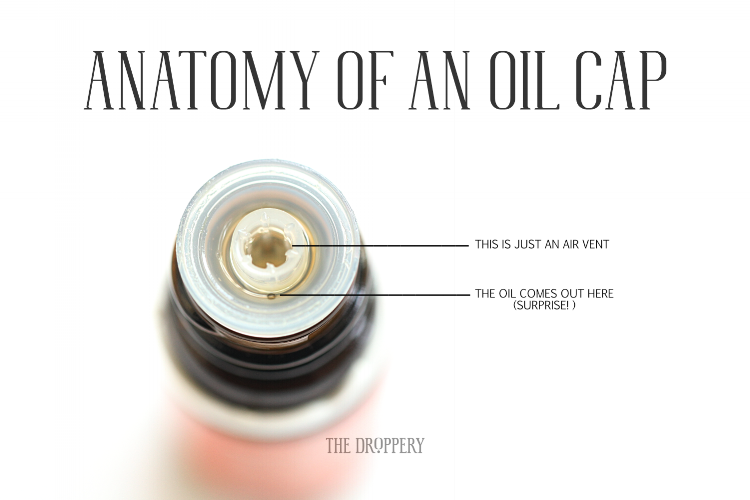 Knowing the oil comes out of this hole can be SUPER helpful for the thicker oils like myrrh, rose, vetiver, etc. You may even want to put a mark on the bottle label on the side where the hole is so you won’t have to search for it.